The Switch is not a handheld (for now). This debate is nothing new. Nintendo has consistently marketed the Nintendo Switch as a home console and not a portable. The portability of the console is used as the primary differentiating factor between the Switch and its competitors, though it is my personal belief that the Switch competes with the 3DS. But that isn’t what this is about and so I’ll leave that there. The point is I’m dug in on the “handheld” side of this debate because the portability of the system IS its selling point. Not because it’s more powerful than the Wii U, not because it has motion controls, HD rumble, or anything else. It’s because it’s portable, Zelda at launch is merely the icing on the cake. Ever since Fire Emblem Awakening, the Fire Emblem franchise has been one of Nintendo’s biggest series, but it was a 3DS exclusive. Prior to that we did get console Fire Emblem games, but it was demoted to a handheld franchise. The sequel, Fates, and the upcoming remake of Gaiden, Echoes, are also 3DS exclusives. Nintendo promised to continue to support 3DS and they’re holding to that. But in the same Direct that they announced Echoes, they also announced Fire Emblem for Nintendo Switch, coming in 2018. Arguably their biggest exclusive on 3DS is coming to Nintendo Switch with no 3DS port in sight. The working title suggests that the game is exclusive to Switch and its release date fits with the three year dev cycle of the main Fire Emblem games. This isn’t the franchise being promoted to console status, this is Fire Emblem moving from one handheld device to another because that is what Fire Emblem is now, a handheld series with a console past. 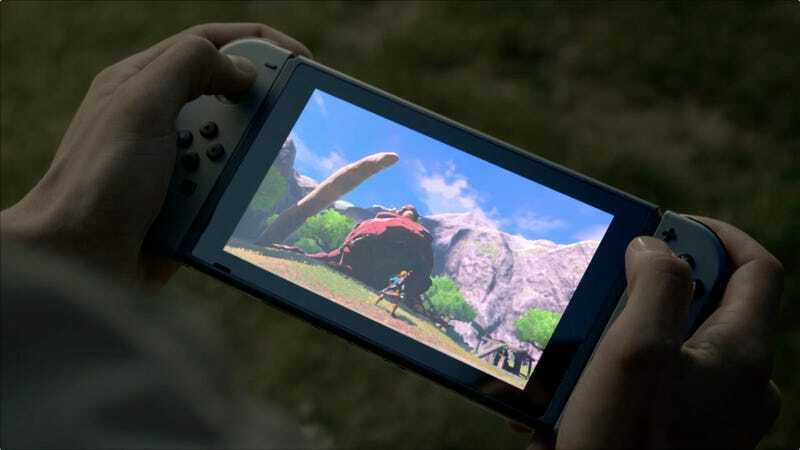 Nintendo can market the Switch as a home console all they want, the proof is in Fire Emblem, the Switch is also Nintendo’s next handheld and they’re hoping that the over 65 million 3DS owners make the switch. Of course another game that could prove the Switch is Nintendo’s handheld successor is a mainline Pokemon title, but rumors aren’t confirmation and so we’ll have to wait and see if Pokemon makes the leap this year or next year. But mark my words, it’s coming.